School teachers in Chicago are angry again. Lots of different things tick them off, especially after their union stirs them up and incites them to protest in ridiculous red shirts. The release of an email from Bruce Rauner written years before he became governor that suggested Chicago teachers have a literacy problem escalated the war over money for the city’s debt-ridden, underperforming educational bureaucracy. Do Chicago school teachers like being angry? What are we supposed to think? We have all heard sound bites of semi-articulate raving from angry Chicago school teachers making spectacles of themselves in the streets of the city because their union told them to. Anger doesn’t suit teachers well. It just makes them look foolish. For those who prefer anger, the war of words over the education budget means that if you want to believe Governor Rauner has it in for teachers, the email is all the convincing you need. That doesn’t make you right. It just makes you angry. What does lots of money buy in Illinois’ largest city? Kids who can barely read. A chance for a union to flex more anti-taxpayer muscle because it sniffs cash. Civil rights are fun to toss in to add more controversy to the business of big union education, but at the end of the day the only issue is how much more money can be had and who gets a cut. Chicago employs 20,567 teachers. The median teacher salary is $73,706 per year. Teachers are backed by over 15,000 employees 2, 3 to keep everything running smoothly. That’s a lot of money and a lot of workers, but the billions the city sinks into education doesn’t buy literate kids. It buys accusations from unions, politicians, and city officials that we aren’t spending enough while they defend a failed pension system that diverts money away from students and keeps every state taxpayer on the hook. It also buys blame for a responsible Republican governor for saying no to the same old spending that created the problem. Stingy taxpayers can’t be faulted for the newest reason school teachers are angry. We already pay too much. Neither can Rauner, despite his efforts to smooth things over with an apology. His email was blown ridiculously out of proportion and had nothing to do with the real problem of what the CTU and Democrats have done to school finances. 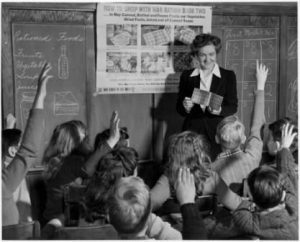 School teachers can read, but what about their students? The politics of education means that we can’t get a straight answer on how kids are performing. Negative assessments are recast and reinterpreted. Positive assessments turn out to be inflated. Even if all of the city’s kids are functionally illiterate, who in Chicago government would fess up to it? 24% of eighth grade students in Chicago were proficient or better in reading according to the Federal Government’s Nation’s Report Card. 33% were below basic.4 That’s not very impressive, but when the figures are sliced and diced by ethnic group the results are even worse. Only 13% of black eighth grade students were considered proficient in reading. 1% were advanced and the proficiency gap is widening5 despite years of Obama’s anti-inequality, pro-minority agenda. Given the likelihood of jail and joblessness for young black men, this is where the anger in education should sit. As the 2015-2016 school year got underway we found out that the graduation rate in Chicago was 66.3%,6 less than the city had claimed as a Chicago Tribune article revealed. That means a third of students aren’t getting their high school diplomas. It also means they won’t be able to get a job worth having. Most jobs balance big salaries and benefits with big results. Union-dominated education is different. It is so different that we let school teachers responsible for educating Chicago kids off the hook for fear of causing offense to politicians, union bosses, and over-indulged government workers. School teachers in Chicago have become a protected class of government worker. We don’t hold them accountable for results in exchange for generous pay and benefits. Too bad we don’t do as good a job protecting their students’ futures. School teachers illiterate? No. Greedy? Maybe. Granted, teachers are going to get some undeserved blame for the state’s pension crisis. We shouldn’t blame them. I would jump at the chance to receive a generous pension in exchange for minimal deductions from my paycheck. Rauner’s email is another excuse for school teachers to be angry. It’s not the reason. Chicago teachers are trapped by a governor trying to make ends meet, career politicians who have ruined the state’s finances, and a union that doesn’t understand what “no money” means. That’s a bad place to be in. Who wouldn’t be angry, with a taxpayer-funded retirement at risk?